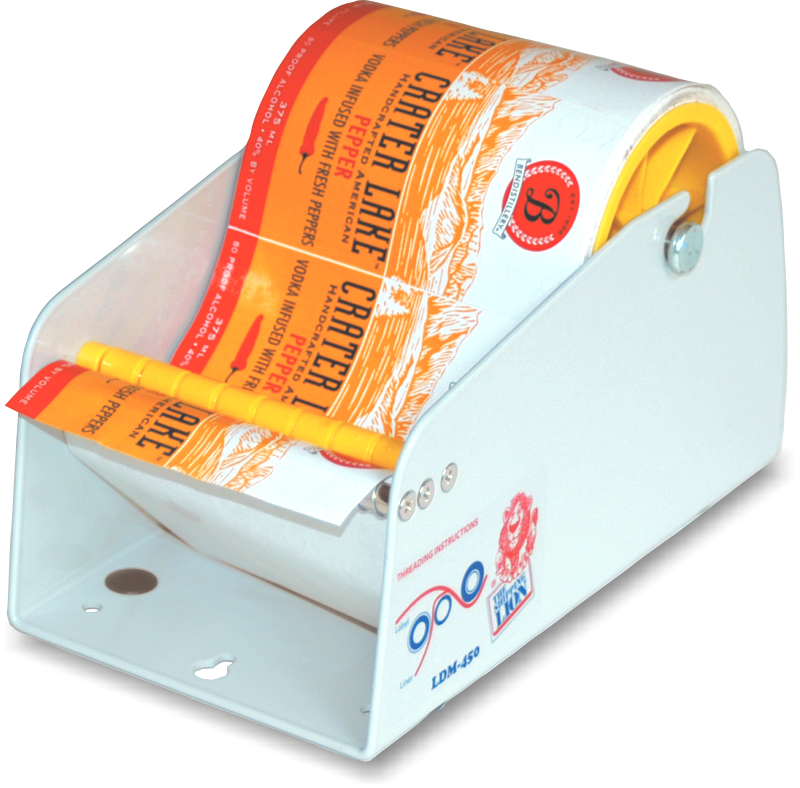 Become a labeling champ with one of our convenient and practical label dispensers. Easily mount on a wall, workbench, or put it right on your desktop. 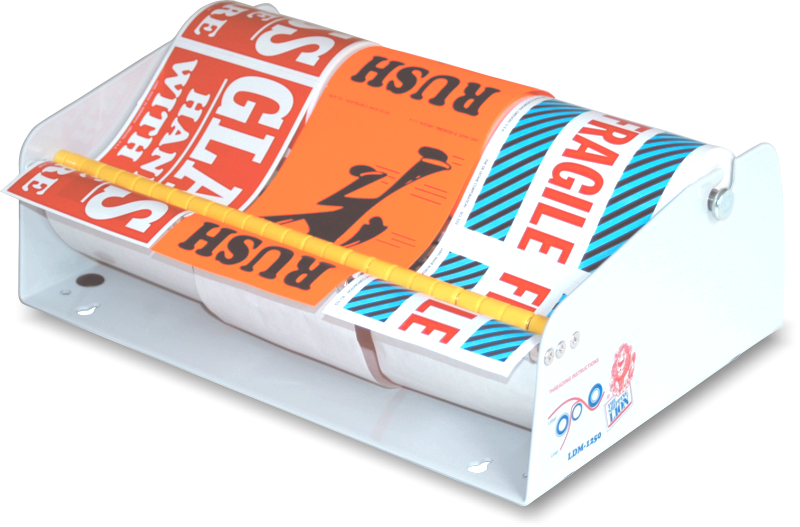 Don't bother struggling with packing and labeling your boxes. 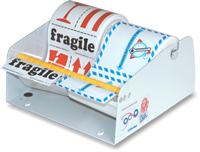 Our dispenser let you mark your packages with one hand. 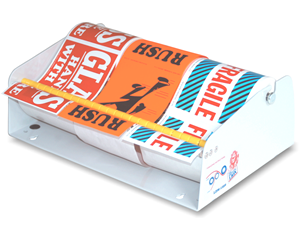 • Heavy-duty, for increased stability and durability over our competitiors. 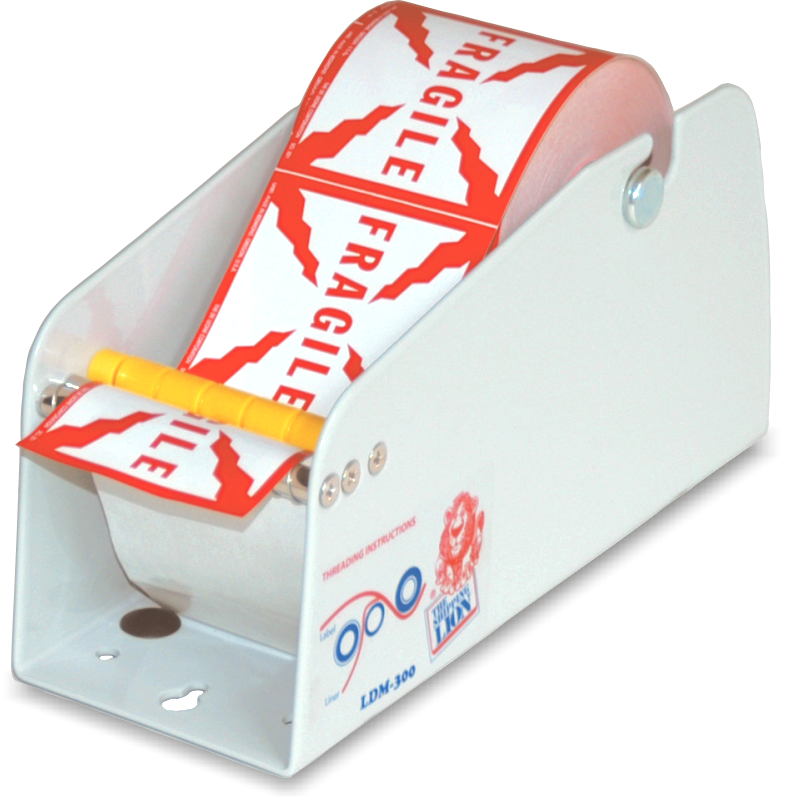 • Browse our selection of dispensers below. • Available in multiple sizes and styles, for paper labels. Comparison on the basis of roll width, diameter, pricing & other features will help you choose the right dispenser! Our all-metal label dispensers can hold multiple rolls. And, we keep these stock, so they ship to you within 24 hours. Dispenser for Paper Labels (fits multiple rolls, totalling 3"